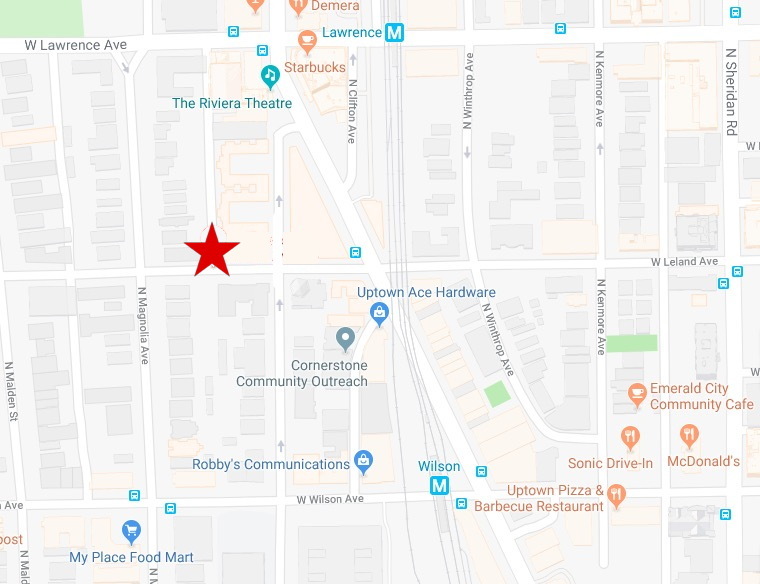 A 53-year-old woman suffered minor injuries when a gunman shot her car window in Uptown on Monday evening. As of midnight, police had not determined if the woman had suffered a graze wound or been injured by flying debris. She refused medical treatment at the scene. Minutes before 8 p.m., police responded to calls of shots fired in the 1200 block of West Leland. Arriving officers found the victim bleeding from her right arm. Her vehicle along with three others sustained damage from gunshots, police said. Cops who reviewed area surveillance video said the shooter was a black male with a red shirt hanging out from under a blue hoodie. He wore light color jeans and is believed to have fled in a tan or white Chevy Malibu, according to police. Late Monday, a Chicago police spokesman said the injured woman was sitting in her car when she “heard shots and felt pain,” but investigators had not yet determined if she had been struck by glass or a bullet fragment. 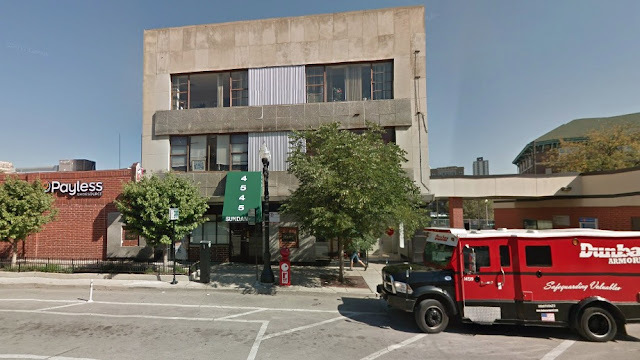 Monday morning's gunfire originated outside this building, across the street from the local alderman's office. 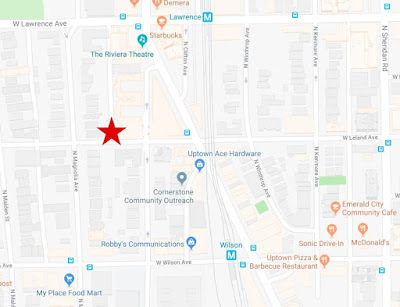 A shooting suspect was taken into custody in Lakeview after another gunfire incident in Uptown on Monday morning, police said. 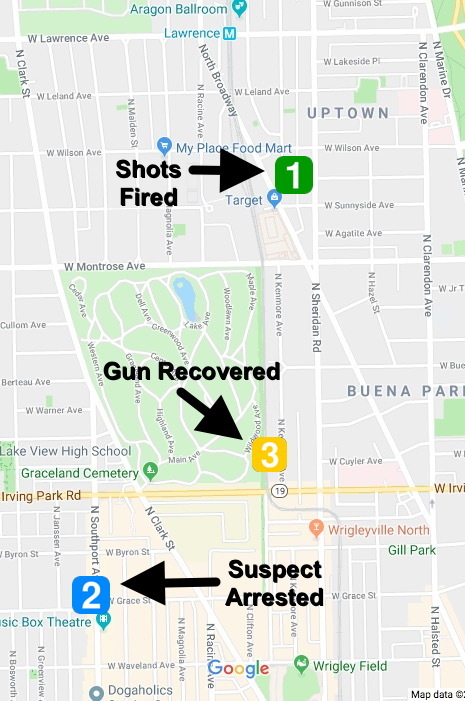 Around 10:15 a.m. police were flagged down by witnesses who reported seeing a man firing shots in the 4500 block of North Broadway. Officers found shell casings in the street at 4545 North Broadway, directly across the street from Alderman James Cappleman’s office. No one was injured by the gunfire, but witnesses were able to identify the gunman by name and told officers that he had fled southbound on a bicycle, police said. About ten minutes after the shooting, police arrested the named suspect near Grace and Southport in Lakeview. Under questioning, the man revealed that he hid his gun in a portable toilet near Kenmore and Irving Park Road, according to a police source. Officers went to 4028 North Kenmore and found a handgun inside a porta-potty. A police spokesman confirmed overnight that charges are pending against the man who was taken into custody. CWBChicago will post an update when those charges are finalized.